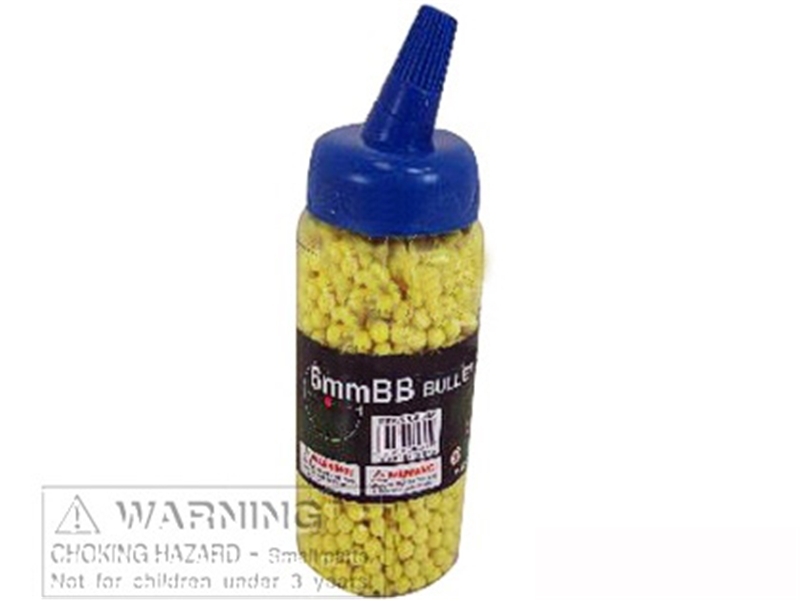 Includes: One Bottle of 2000 6mm Yellow Pellet BB Bullets. *BB Gun and Accessories Not Included. Sold Separately. Contains 2000pcs per bottle. High Quality. Size 6mm Pellet. Yellow in Color. Carrying bottle included. Intended for Ages 18 Years and Up.